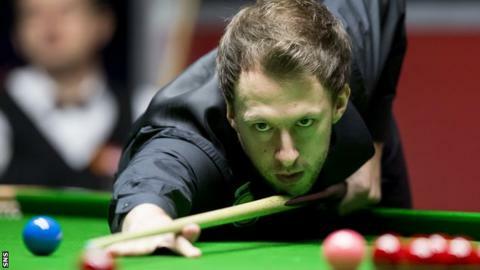 Judd Trump ended Stephen Maguire's run at the Scottish Open with a 5-2 win in their quarter-final on Friday. Trump won the first two frames before Glaswegian Maguire replied, but the world number three made it 4-1 and a 43 clearance in the seventh sealed it. Earlier, Neil Robertson prevailed in a final-frame decider to win 5-4 against China's Xiao Guodong. The Australian will face either Ronnie O'Sullivan or John Higgins, who play their quarter-final from 19:00 GMT. Trump will face either Ricky Walden or Cao Yupeng, who feature in the other last-eight match. Robertson rattled in consecutive centuries from 2-1 down - 114 and 128 - and seized his chance to seal victory from Guodong's break-off in the decider. He believes his recent commitment to extensive practice is paying off. "The last couple of months, with the amount of practice I am doing, I am seeing my game reach another level, particularly in the scoring department," he said. "I feel as if I am playing better than I ever have done. If I keeper producing these kind of performances, opponents know that if they miss, I am going to clear the table."